The materials featured in this post and giveaway were provided by Ribbow Media Group. This post may contain affiliate links. No incentive was provided for this publication and opinions are our own. Woman Tribune is not responsible for prize fulfillment. What kind of woman was Mary? What must have gone through her mind when God appeared to her and blessed her with the birth of a son named Jesus, and did she have doubts? What kind of husband was Joseph; did he struggle with accepting Jesus as his own child? How did the couple approach parenting their young son, and how did they explain his role in the world when he began to realize that something may be a little different about him? These are the questions The Young Messiah, in theaters now, aims to explore in a fresh take on the traditional story of Jesus, the son of God. Inspired by scripture and rooted in history, this story imagines a year in the boyhood of Jesus. 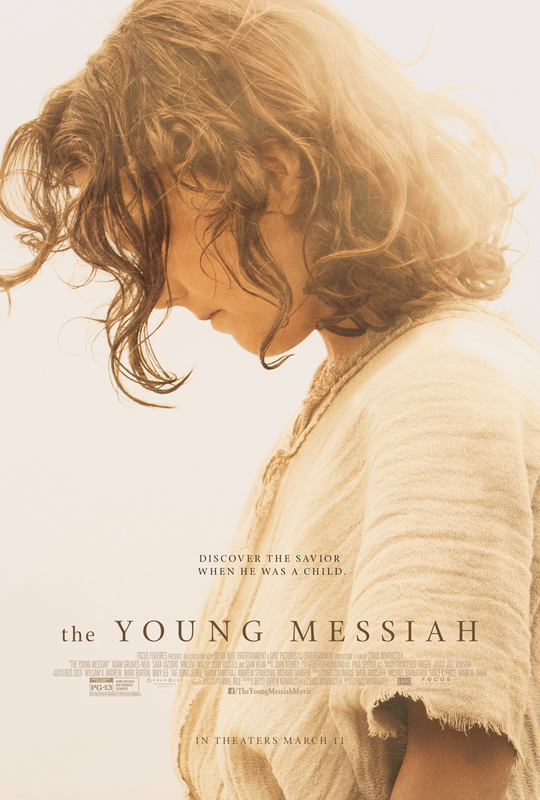 Follow the young Messiah as he and his family take the extraordinary journey from Egypt to Nazareth and on to Jerusalem — where his true identity and profound destiny are revealed. The Young Messiah reveals how Mary and Joseph, in their hearts, were just parents trying to do the best they could by the tremendous gift they were given in Jesus — not unlike any parent today faced with difficult decisions on what’s best for their child and the responsibility to protect and support them. Watch the Parenting featurette below to find out why the filmmakers feel the importance of connecting with the Holy Family, and why they are relatable in today’s parenting world. The Young Messiah is in theaters now and we are giving one lucky winner two AMC movie theater tickets. We hope it’s an extra special way you and your family can celebrate Easter this year. This giveaway is open to US entrants ages 18+ and ends March 24, 2016 at 11:59 p.m. EST. Oh, I just saw the preview for this the other day! Looks like a great one! This movie sounds really interesting. Many are familiar with the story of Jesus’s adult life and mission, but this coming of age view is something that we don’t speak of often. I can’t wait to check it out. I am very much looking forward to taking my mother-in-law to see this movie, she would love it. I am so excited to see this movie! I would LOVE to take my husband with me out on a date together. We usually wait till movies come out on tv or dvd. Happy Easter!!! He is Risen!